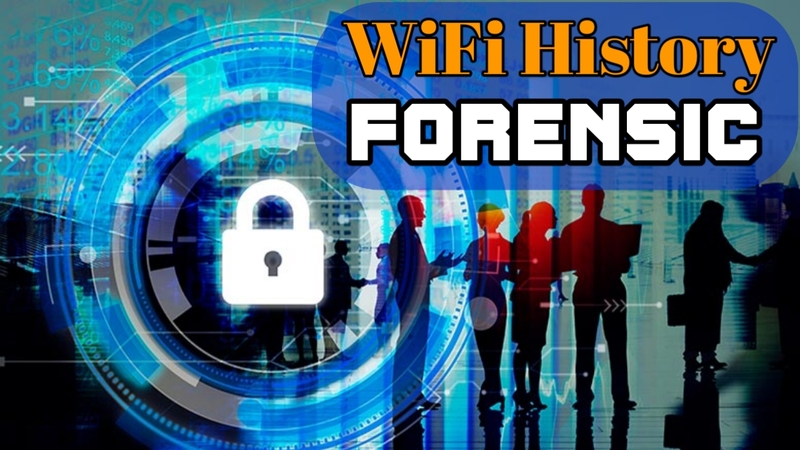 Hello welcome friends, in another new tutorial of Digital Forensics, Today we will learn about WiFi History Investigation. By the way you had watched may Video on WiFi Hacking, but I will tell you how to do Wifi network's forensic investigation? If you think like a Forensics expert, we will be able to know about different types of Wifi. You will probably know about a lot of information that you might not know. In this we will also know that the devices are connected to the angle, And how they are used ? So read this Article for know more about WiFi Forensics Investigation. Thread I'd to track unique data object as they pass through the system and to facilitate concurrent processing. So, every network has different access points in every network They cover the area from the network area. 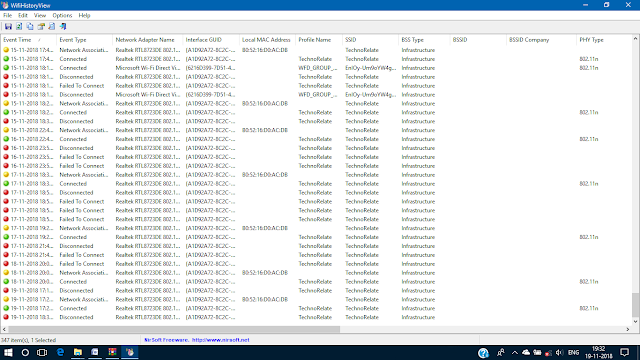 So you need to download the a small size software for WiFi History Forensics Investigation which you can download from here. After download that software install in your computer. Now here you can see a complete records of Wi-Fi. First of all you will see in WiFi Connection Date in Event Date. After that you will get the information that if WiFi is connected or not in Event Type. Then you will get Adepter Information in Adepter Name. In the next steps you will get Name of Wi-Fi in Profile Name Section. 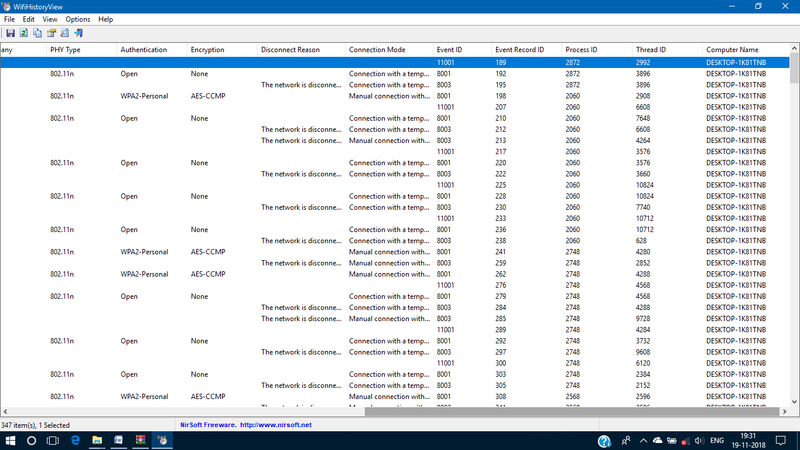 After that you can check here Connection Disconnect Reason. 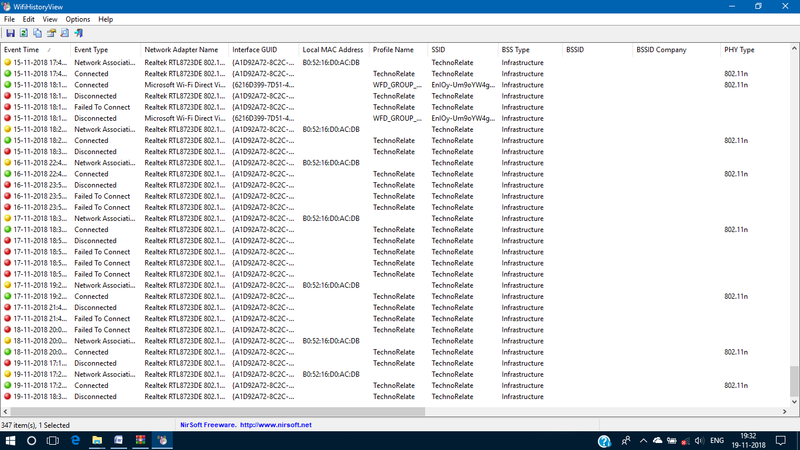 And you can many more information about WiFi from this software. 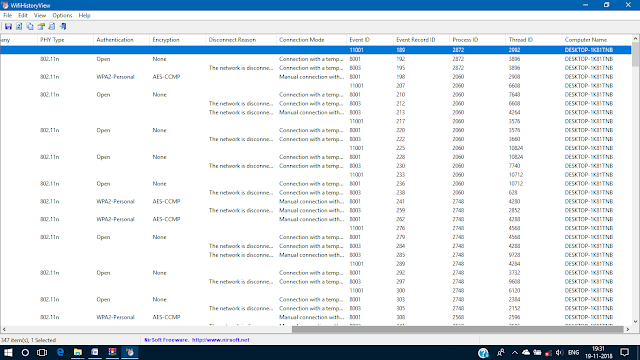 Conclusion - So, you can get a lot of information related to the Wi-Fi History Forensics investigation, with the help of this tool. A good Forensics Expert can get maximum evidence based on these information & tools.